St Helena is like a taster menu of dramatic habitats. The incredible scenery is crowned by cloud forest at the higher elevations where mist and rain are sufficient, ringed by lush pastures, with an arid skirt of relatively bare soil and sheer cliffs around the edges. Each has been shaped by natural forces and human introductions and interventions over the centuries. St Helena’s isolation and its rugged terrain have been the saviour of a few fragments of the original natural habitats and a wealth of their constituent species. In places a species has adapted to the new habitats – like the Wirebird today seen in livestock pastures, on the Golf Course, and on the sports fields of Francis Plain. In others, tiny fragments of habitat persist such as the Peak Dale Gumwoods, and Tea Plant on the edge of the Man and Horse cliffs, Rosemary, Scrubwoods, and Dwarf Ebony far down the sheer cliffs at Blue Point. Ever since the order was given to wall off the Gumwoods of the Longwood area, there have been concerned and dedicated individuals who have been able to see that lack of action would mean the complete loss through extinction of these relics of the past. Today their efforts slowly begin to bear fruit, but these efforts will need to be maintained for decades, if not centuries. Come and lie on the ground in the Millennium Forest, and watch the clouds drift past the planted Gumwoods above you. Imagine the forest that these trees will become as the decades pass. Admire the characteristic branching pattern of those mature trees protected at Peak Dale, sit among the tree ferns below Cuckolds Peak, or see Speery Island over a flowering Scrubwood at Man and Horse – this is to experience the St Helena of the past, to wonder at the enormity of centuries of isolation, lack of contact, and the evolutionary radiation of the few animals and plants that did make it here across the vast waters of the Atlantic. It is the efforts made by the Trust to help conserve these fragments of our living heritage that are described in the project pages here. Share with us the efforts being made now, admire those already completed, be grateful for the support provided by other institutions, the St Helena and UK Governments and many, many individuals, and if you can, join us. Come and share in the challenges and the satisfaction. 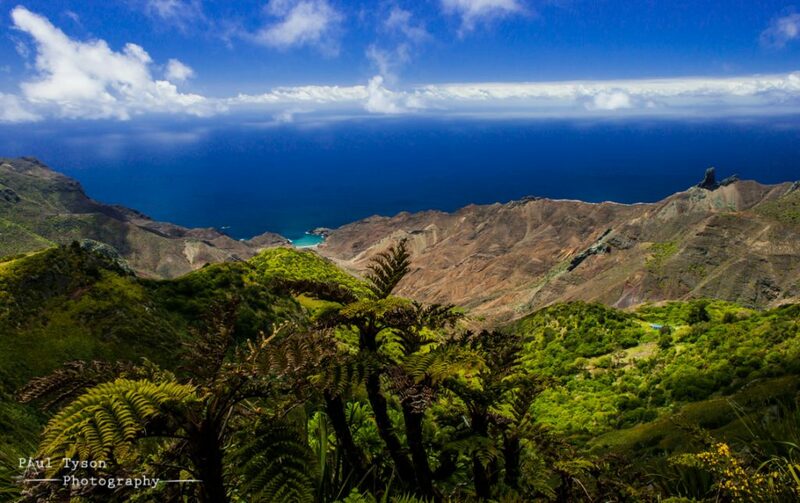 The Trust is thrilled that the waters around St Helena have been designated an IUCN Category VI Protected Area and is working with the St Helena Government and the Blue Marine Foundation to see that this designation ensures that St Helena’s waters remain vibrant and full of life. In Particular, the Trust supports the concept of a Pole and Line only fishery for St Helena and is developing an increased focus on marine matters more generally.